Wash kale and pat dry with paper towels. With a knife, carefully remove the leaves from the thick stem and rib. Dispose stems and rib, and roughly chop up the leaves. 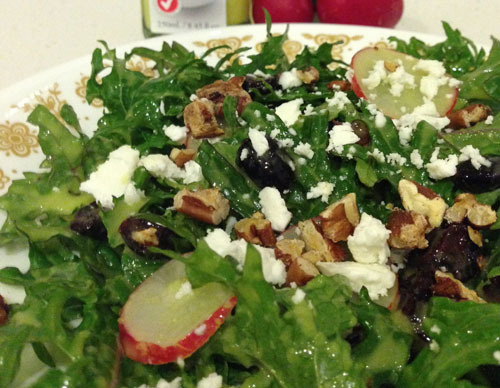 In a salad bowl, combine kale, craisins and pecans. 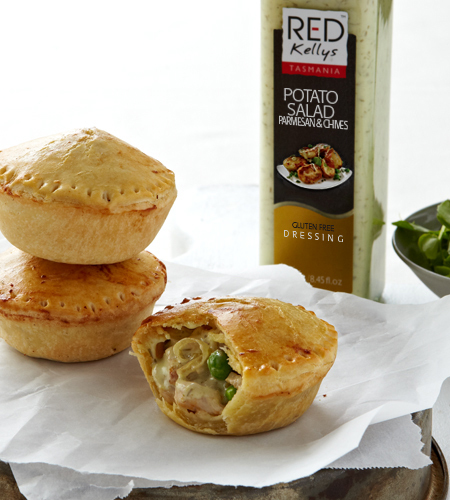 Drizzle over with Red Kellys Traditional Dressing and toss to combine evenly. Crumble goat cheese over the top before serving. Enjoy! Tip: You can eat this salad right away or leave for about 20 minutes of tenderizing by the dressing.